Today, doctors have access to massive amounts of data. These data can be used to target medical treatment to a single patient’s needs; however, the very best bioinformatic competencies are needed. 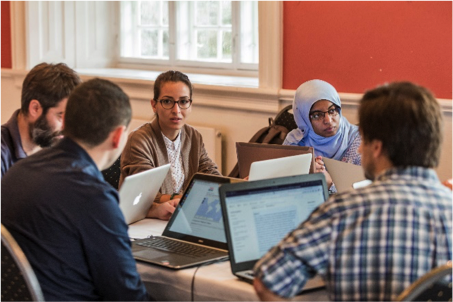 Analytical approaches develop with such speed that Professor Jens Lundgren brought some of the world’s sharpest brains together for a week in order to figure out how the visualization of patterns in large datasets and data sharing can lead to a better understanding of illnesses. At the Rigshospitalet, programmers and medical professionals have collaboratively developed an online “storage house” for data, in which doctors can share patient data from routine examinations done by health services. 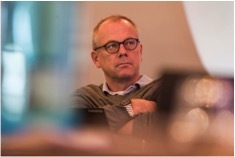 The work is being led by Professor Jens Lundgren, head of the DNRF Center for Personalized Medicine Managing Infectious Complications in Immune Deficiency (PERSIMUNE). 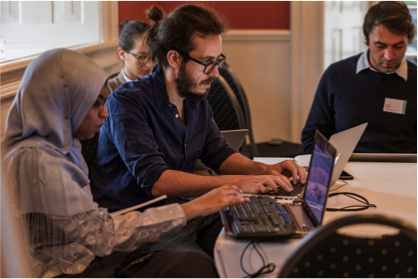 During the week of December 4-8, Lundgren hosted the research workshop Modeling Immune System and Pathogen (MISP) Interactions Research Camp, at which approximately 50 of the world’s best bioinformaticians collaborated in creating tools for analysis. Such tools can generate rewards nationally within the field of precision medicine. PERSIMUNE’s storage house is currently storing data on 150,000 patients, all of whom have undergone routine examinations at the Rigshospitalet. It is possible to expand the concept and apply it to the entire Danish population. Enormous amounts of data or data points, as Lundgren calls the numerous measurements on single individuals, are being kept in the storage house. These massive amounts of data make precision medicine possible, i.e., the more individualized treatment of illnesses such as cancer and HIV or the infections that occur as a consequence of transplants and chemotherapy. Lundgren’s research center works on identifying the various risks seen in the development of diseases, focusing specifically on precision medicine. Why do some patients get complications after transplants, while others do not? Why do some benefit from chemotherapy and why do others die because of the treatment? Answers to questions like these might be on one of the “shelves” in the gigantic data storage house, metaphorically speaking, since the storage house has neither shelves nor items in a traditional sense. The storage house contains an amount of patient information for data specialists and doctors that is hard to grasp for ordinary people. “Today, we have 3 billion data points on just one human genome. Classical methods for analysis are simply not designed to handle this big an amount of data. Therefore, we are in a situation where precision medicine and cutting-edge bioinformatics are each other’s mutual prerequisites”, said Lundgren. The Danish health system has a unique opportunity to explore the potentials of precision medicine, as data and knowledge about the Danes’ illnesses and treatments have been collected for many years through the person identification numbers. These data are featured in Lundgren’s storage house for data, which is unique in its completeness and in the way it provides Denmark with a competitive advantage. “Given the unique person identification number, it is possible to combine legacy and contemporary data generated by the health system as part of routine care activities for the entire Danish population. Selection of the population is nil and the completeness of data is high. These data can be combined with more complex data using modern ­omics technologies to characterize the host genome and that of invading microorganisms, the profile of immune cells, and the circulating proteins and metabolites. This, to ensure a systemic biological characterization of the patient. This way researchers can identify novel approaches to understanding illness and health. As a result, Denmark is strongly positioned to productively contribute to the development of personalized care, the new paradigm in modern medicine,” said Lundgren. In 2017, the government and the Danish regions have created a joint national strategy for personal medicine 2017-2020, and 100 mil. DKK have been given this year for the start-up period. Lundgren’s research center was established in 2015 with a grant of 60 mill. DKK from the Danish National Research Foundation. 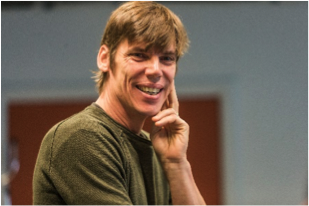 From the very beginning, Lundgren has determinedly focused on combining his medical knowledge with competences in bioinformatics, first and foremost by attracting one of the world’s absolute best in the field, Professor Magnus Fontes. Fontes is an expert in mathematical models, data analysis and visualization of complex systems. “To boost the field of precision medicine, it is essential to advance our competences for analyzing and visualizing data so we can utilize the information that is hidden within the massive amounts of data. Fontes masters some of the methods for analysis that make complex data and patterns visual to the naked eye,” stated Lundgren. The MISP (Medical Information Services Program) workshop took place from December 4-8. 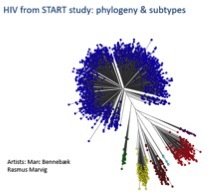 By virtue of Fontes’ and Lundgren’s network they succeeded in connecting people from all over the world, all of whom work on developing tools for analysis that can handle and visualize large amounts of data. Whereas doctors’ understanding of biology was previously based on numbers, the approach within precision medicine is based on visualizing how data are connected in patterns. These patterns can highlight why humans have divergent reactions to illnesses and why these should also be treated differently with regard to the patients. These patterns can also be expressed in numbers; however, it would be unmanageable to keep track of these patterns because of the large and complex amounts of data. Many mathematical tools can be used to group those data that are alike, the so-called principal components. By separating the elements of data based on whether they apply to a sick or a healthy individual, it is possible to investigate if the data group’s pattern is due to its starting point. The next step after the pattern has been identified is to understand why the pattern originated and thereby obtain insights into the underlying biological mechanisms that cause the grouping. To optimize the chances of detecting patterns, all elements of the data that contribute to the calculations must be of the highest quality, so the “signal-to-noise” relationship increases. The approaches for analysis are developing rapidly. In fact, things are moving so fast that the methods developed in 2015-16 are already outdated. Denmark must collaborate with the best in the world if we want to use the newest knowledge. The MISP workshop has contributed to making international data experts notice the possibilities that lie within the Danish health system and in Lundgren’s storage house for data, which is complete and therefore unique. The MISP workshop brought together data specialists (called bioinformatics) from 11 different countries to solve 4 specific problems based on 4 datasets. The experiment succeeded above all expectations. 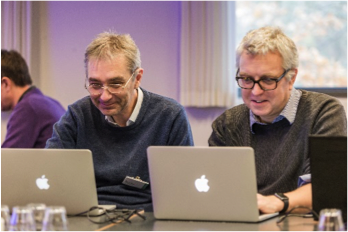 It was especially eye-opening for Lundgren to see how fast top specialists in bioinformatics can apply these measurement tools to a new dataset. Further, by collaborating with medical experts, bioinformatics specialists can detect new patterns of illness. This work will produce new rewards nationally within the field of precision medicine. The possibilities are vast and everybody can take part in the scientific projects. The future most important thing for PERSIMUNE in the future is to prioritize the project portfolio and take on new projects. Also, the center must see where the data lead them – maybe into new fields of research that the center had not even imagined. Another important insight gained from the workshop was to state that this entire research field is developing very quickly, and no one has the perfect approach to analysis. A dialogue based on curiosity and the will to work with a large network of experts will help this field to blossom in the upcoming years, a result that will benefit patients.